Grease a large Bundt pan; dust with cocoa powder. Warm coffee, dark rum, butter, and cocoa powder over medium heat and stir gently until the butter is melted. Remove from heat and add sugar, stirring until dissolved. In another bowl combine eggs, buttermilk and vanilla. When the chocolate mixture is cool, stir in egg mixture. Pour batter into the prepared pan and bake 40 minutes or until a toothpick comes out clean. Prepare the chocolate rum icing by melting chocolate, then adding butter and rum; simmer 5 minutes. Add milk or rum to thin the sauce. Remove the sauce from the heat and cool slightly. When cake has cooled, invert it onto a wire rack placed over parchment or wax paper. 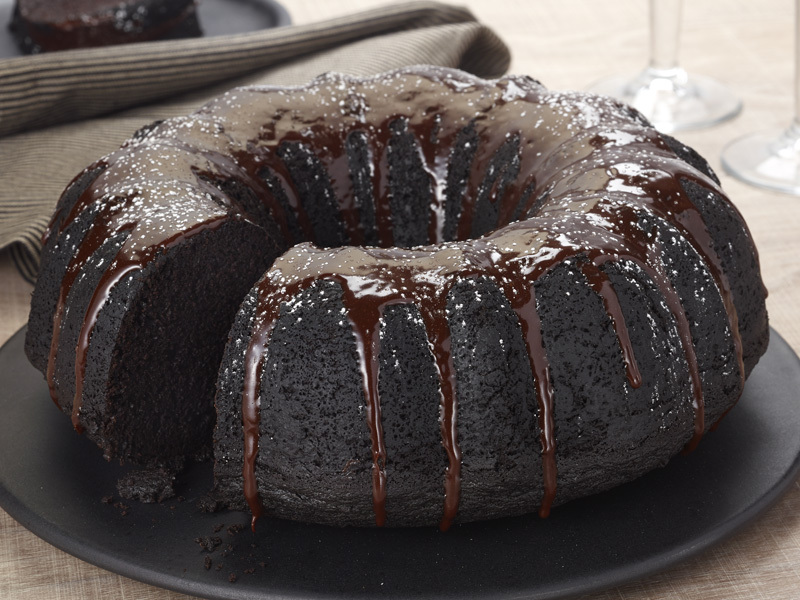 Drizzle with chocolate rum icing.